Publisher: 21st Century Entertainment, Atari, Inc. Extra features include: Multi-flippers, dot matrix score panel, more music and sound effects, larger more detailed tables, mega bonusses, expandable. 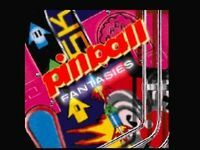 Don't miss this fantastic pinball simulation!